1 day left of Camp… What a GREAT Team. It was a JOY to be back and sweating with you today. I’m really proud of how hard you worked and supported each other; I’m sad I missed most of camp with you BUT I can tell you didn’t miss me so much… YOU KILLED IT TODAY. Today was about you… But let me tell you the MTV thing is going to be a really great show. I promise to let you know when it airs and we can all remember this great month you shared together as a Team. You gotta chase your dreams, go after them with everything you have… right? That is what BOOTYCamp! is all about; Going outside of your comfort zone, pushing it to the limit so you can become even stronger than you ever thought possible. THURSDAY is DAY 8, THE FINAL DAY! I need you to come ready to BRING IT to the Nth degree people. SERIOUSLY. You have busted your booty literally for an entire month. Tomorrow needs to be a celebration of all you have worked for. I challenge you all to top each and every category you were tested in on Day 1. AND I want you to get at least 5 higher in one category, ok?! NO EXCUSES, just do it. Can I get a HELL yeah?! 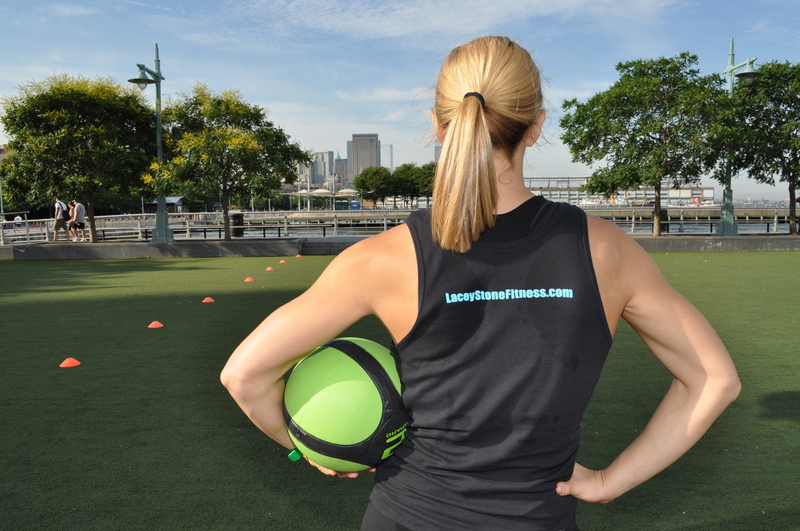 If you accept my challenge email me now- Lacey@laceystonefitness.com. Surprise yourself Thursday and KILL IT! Put an exclamation point on a month well done. GREAT job Carolyn, Doug, Monica, Sydney, Ben, Jenn, and Erin on the Relay! You blew away the competition with your – Crabby-Crawl, 20 dips, Around the Horn, 20 push-ups, Champion! EXCELLENT wooorrkkk. Who’s doubling it UP! Ben and Mark already committed to rocking it out with me at Equinox tonight – 6.40pm is Le Gran Jeu, That’s French for TheBigGAME! at Greenwich Village. Go BIG or GO HOME. Thank you for your enthusiasm today people… You ROCKED the house and I know you got some serious results this month. In life as in on the field we must earn our rewards, lets celebrate all your hard work and efforts Thursday as a Team. « BOOTCamp! July Starts TODAY!